Delta Towing of Dallas ) and their network of licensed affiliates gives you the services you need whenever you find yourself out of gas. When you run out of gas, Delta Towing is the company to call. Being stranded on the side of the road in any hour of the day can be very frustrating. However, it doesn’t have to be! We endeavor to get your gas tank refilled within a fast response time of your call. That’s easy for us since we have gas at our disposal. That’s true no matter where in the Dallas area you happen to be. It’s one of our goals to make sure you are safe, so when you call we try to make sure we have someone sent to your location immediately. From the very second, you call, one of our representative will have a qualified specialist sent out to your specific location. Waiting is never fun, and with us, you won’t have to in order to receive our service. Our team will fill your tank and you’ll be back on your way in no time. Delta Towing Dallas and their network of licensed affiliates experts provide 24 hour roadside assistance solutions year round. In fact, there is not a single day that we are not available to help you when you need us. We and our network of independently owned and licensed affiliates offer the next towing and emergency roadside services: refueling, auto battery exchange, a flat tire fix, auto won’t start, locksmith solutions(24hr car lockouts) and long distance towing. In fact, our auto towing services are also some of the best in the area! 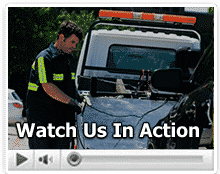 The entire Dallas area is helped by our services when a towing or roadside assistance issue arises. What does that mean exactly? Well, when you run out of gas, stuck on the side of the road somewhere, just a call and residents of the Dallas region can expect one of our qualified professionals to arrive within a short time response. Upon arrival, the gas tank of your car will be refilled and you can be on your way. Our technicians are very experienced and work hard to give you quality services because they other only use top-of-the-line equipment. Bottom line? You are in good hands when you are out of gas. Choosing Delta Towing in Dallas is the right choice.